The mission of the Dana Point Symphony is to provide world-class classical music to Dana Point and surrounding communities, making it accessible to everyone. 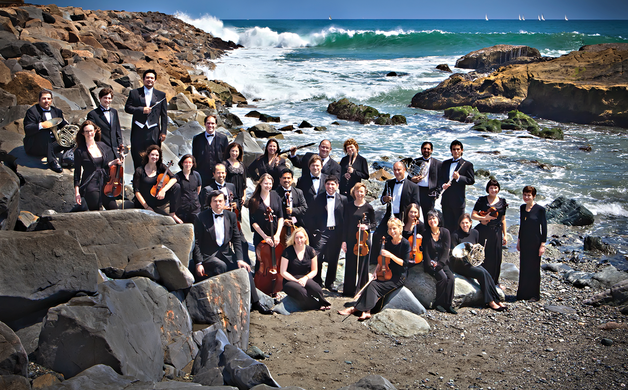 The Symphony Orchestra is photographed at Dana Point. The American Association of University Women was founded in 1881 to help promote education and employment opportunity for women. AAUW’s San Clemente-Capistrano Beach branch (AAUW-SCCB) was formed almost 135 years later, after enormous changes had been made, and they are still finding a myriad of ways to encourage and promote these issues. Scholarships awarded to young women and single mothers, have enabled their move from two years at Saddleback College to a degree path at an accredited university changing the lives of hundreds of families. But the advent of Tech Trek may prove an even more important cog in the wheel of women’s educational opportunities. Tech Trek is a statewide summer camp program (currently expanding nationwide), held at a local college or university, which introduces girls entering 8th grade to educational and employment opportunities in science, technology, engineering and math (STEM). That grade was chosen because it’s the time most girls begin to move away from their previous interest in stem fields. 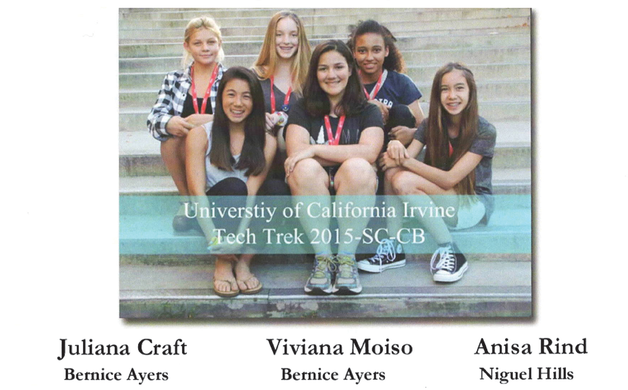 This year the branch was able to send six local girls to Tech Trek summer camp at the University of California, Irvine. Recipients were chosen based on a teacher’s recommendation, a written essay and a brief interview. Juliana Craft, Viviana Moiso, Anisa Rind, Jenna Yeam, Carly Bunim and Isabelle Peloso enthusiastically endorsed the opportunity. The girls spend a week on campus, living in the dorm and studying with college instructors as well specialists in specific fields. Each girl chooses two subjects to pursue from a list of about 10, including topics like environmental science, medicine, forensics, biology and robotics. General classes were also held so every girl received an introduction to every subject. This year the chapter’s Tech Trek co-chairs, Cathy Batton and Mary Jo West had a get-acquainted party for the girls at Velvet Yogurt, awarding each with a Tech Trek teddy bear. They both continue to be impressed with the intelligence and responsiveness of the students, wishing they could offer every applicant this opportunity. For more information about the local AAUW branch, its many programs and how you can be involved, call Joan Nielsen at (949)492-8446 or go to http:sccb-ca.aauw.net. And check the “Interest Groups.” You’ll find study groups on movies, books, bridge, French, etc - something for everyone. Berenika Schmitz, executive director of Casa Romantica Cultural Center and Gardens in San Clemente, has earned the title of founder and artistic director of the Dana Point Symphony. A classically trained concert pianist, Berenika realized soon after moving to South Orange County that though the area’s most popular events included musical presentations, it had no symphony orchestra. Berenika discovered that Dana Point had some exceptional venues and after additional planning, contacted Dana Point’s then mayor, Scott Schoeffel, hoping to make the symphony a reality. They partnered with conductor and musical director Dean Anderson and in less time than expected, the dream came true. Attendance the first year averaged 500 guests per performance; the second year attendance almost doubled, and has continued to increase. On occasion, the symphony presents incredible productions, such as the two-day amalgam of orchestra, opera, theater and aerial ballet held on the Ocean Institute’s tall ship Pilgrim. But most concerts are held at St Edwards Church in Dana Point, a beautiful, classically designed structure, with, Berenika reported, “incredible acoustics and a floor to ceiling backdrop of the ocean behind the stage…there is no better way to enjoy a live symphony orchestra.” Ample parking, comfortable handicap access and plush theater seating complete the perfection. The symphony’s 5th season will open February 27, at 7:30pm, featuring violin virtuoso Aya Kionaga performing the popular Brahms Violin Concerto, Brahms Hungarian Dances and works by Grieg and Smetena. April 16th will bring an Impressionist musical program including Ravel’s Mother Goose Suit and Carnival of the Animals. Tickets will be free for children under 15 accompanied by an adult. Mozart and pianist Regulo Martinez will be featured on May 7 and this season’s exciting finale will be presented on June 11. Tickets are only $20 for adults, $15 for seniors, students and military. After each concert attendees are invited to a complementary meet the artists’ reception and art exhibition in St. Edward’s Knight Hall. For more information call (301) 832-0388 or go to danapointsymphony.com. Their major fundraising – a St. Patrick’s Day Dinner and the Semper Fi Golf Tournament – help support the Boys and Girls Club, Boy Scouts, Laura’s House, Toys for Tots, programs at San Clemente High School, events honoring sheriffs, firemen and life guards, funding for Camp Pendleton families, and more. 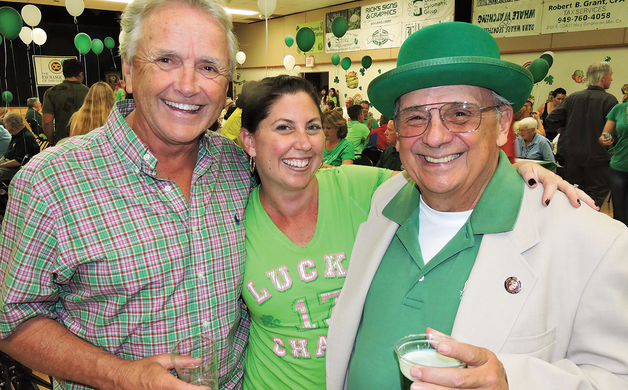 The St. Patrick’s Day dinner, the club’s largest event, also is one of the area’s most fun and delectable evenings. So mark the date, March 19, on your calendar and get your best green suit out of the closet. For just $20 you will enjoy a delicious dinner of corned beef, cabbage and all the trimmings from Carbonara’s Trattoria (with a little hand from The Fisherman’s Bob Novello); music for dinner, dancing and your listening pleasure and entertainment by dancers from Ainar Irish Dance Studio. Exchange members will serve you and SCHS students from the AVID program will bus tables as a community service. And your dinner ticket could be the ticket to a valuable door prize, as there will be an opportunity drawing for a major prize or a 50/50 win. Children are welcome. They will love the music, food and Irish dancing. Doors at the San Clemente Community Center will open at 5pm, closing about 9:30pm. Tickets can be purchased from any Exchange Club member or call Rich at (949)240-4089. Sailing on the high seas observing frolicking marine life is a year-round adventure in our part of the world. Carla Mitroff, from Dana Wharf Sport Fishing, assures us that the sea life in our environs is always abundant. The type of whale, dolphin, sea lion or fish might change, but every season brings sights and sounds to enjoy, and whale watching, fishing and photography excursions are always available. 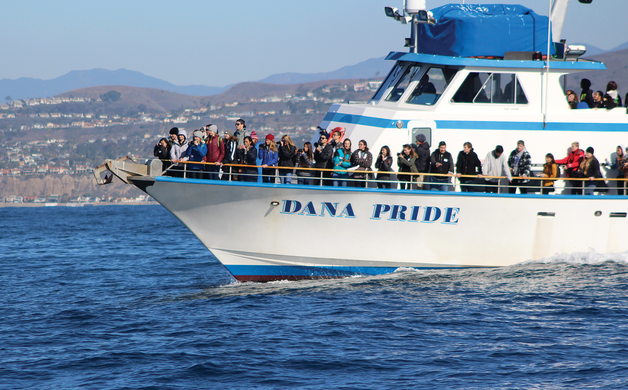 Whale watching on the Dana Pride. The Dana Point Festival of Whales is only available once a year, however, and this year it will be held the first two weekends in March. The March 5th kick-off includes a 10am parade down Pacific Coast Hwy. from Selva Rd. to Golden Lantern. It will be accompanied by a street fair continuing to 3pm. On March 6, from 9am to 2pm at Doheny State Park, paint and brushes will be supplied for those who would like to add their touch to the 75ft. long painting of a fin whale which will be the new addition to the Whale Walk, where several other whales are already depicted. Each day will offer a unique opening experience. On the 12th bring your work gloves, a bag or bucket and meet Ranger Vicki at the lifeguard station to help clean the beach and learn about the importance of maintaining our coastal waters. On the 13th the Mobile Marine Museum will be parked at the Doheny Beach Visitor’s Center from 11am to 3pm, to show marine artifacts and encourage appreciation of the ocean’s magnificent sea creatures. Doheny Park will offer discounted ($1 an hour) parking. If paid for with the passport parking app available for smart phones and tablets at https://ppprk.com/park/ you can add time remotely or you can call Jess Lopez at (949) 554-4627.